To look at Neil Warnock and his teams, only one phrase comes to mind. ‘Long ball’. The hoof. The end of last season put into perspective the quality of football we had enjoyed at times under Grayson. The unbeaten streak during our first season in the Championship was, at times, excellent to watch, and Warnock’s supposed tactical beliefs made me incredibly concerned for the future. However, from what I saw last week against Shrewsbury, Warnock seems to have, through imprinting his own ideas on the transfer market, made it possible to play a direct game that might actually be entertaining. Take his selections on the wings. Varney and Green both seem incredibly unlikely to beat, or even attempt to beat their full-back during a game. Warnock seems interested in bringing in a right sided player, but I’d be tempted to argue that Green will still start, given that he’s a Warnock signing and fits a role that I will describe below. The dynamic player might just fill the role Diouf currently seems to be intended for – an off-the-bench impact player who does not, and should not start off the match. The way to think of Green is not as a winger. Green is very much a third central midfielder who operates wide. His duty is that of a central midfielder, to break up play, to create new movements on the shift of possession. He will likely float around the same starting lines on the pitch as Norris, with Austin sitting deeper, but rather than operating through the middle, he is to sit out wide. This provides a solidity that Warnock will crave – it basically provides the benefit of a central midfield three without taking away the natural wide play of a midfield four. On the other hand, Varney, whilst still constrained by a lack of interest in beating his full back, will fulfill a completely different duty. Firstly, he seems naturally inclined to cut inside and float around the final section of the pitch. In fact, the only cross I can remember of his against Shrewsbury, which confused the defence and allowed Becchio a relatively free header he probably should have scored, came from the right wing. Varney also was the target for balls from the back, given his height and aerial prowess. This allows a shift in the direct ball should a large center back have the better of Becchio. Given the relative weakness of most full backs in the air, this will also probably cause a manager to move a central defender to mark Varney in the event of these failures. Were we playing a flat system with a single striker, this would have little benefit. However, McCormack, operating in the position he always should have been, essentially free to choose between midfield and attack as he desires, will then become a greater threat. The missing center back means McCormack will not be muscled off the ball – he can run at the defence and cause havoc, taking long shots which he has a proven aptitude for. With the stretched back four, McCormack’s excellent positioning and ability when running the line of a defence will also come to the fore. People have questioned where the creative force will come from next year, and whilst I would enjoy the signing of someone with the express duty of providing this, McCormack can fulfill that role. There was an oft repeated move in the last game where McCormack would gather the ball, run at a defence that was dealing with the threat of Varney from the left, knowing it is necessary to cover this. However, rather than going down this route, Paul Green would run from the right midfield position, moving inside like an attacking central midfielder, and dash past the defensive line as McCormack played the ball over the top. It occurred two or three times and lead to the penalty. It is obviously a set move that is a work in progress, but if they crack it, it could become incredibly dangerous. Before I cover even further why this isn’t possible to defend against easily, there are two final pieces to the attacking puzzle. David Norris is the most obvious one. Genuinely considered by some to be the midfielder with the best timing of runs in the Football League, Norris proved his ability to arrive at the correct moment with Varney’s knockdown that led to the third goal. In fact, this was the second time he pulled the run off perfectly, and he probably should have done better with his first opportunity. Secondly, the full backs are of note. Both Peltier and White have the potential to be crossing threats in the final third, especially with Green and Varney both naturally drifting inside. Pearce and Lees, with Austin sat in front of them, are likely a solid enough back three to deal with counter attacks and breaks, especially with White’s rapid pace allowing him to get back and cover if necessary. This allows them to push up when attacking, overlapping the ostensible actual wide players. 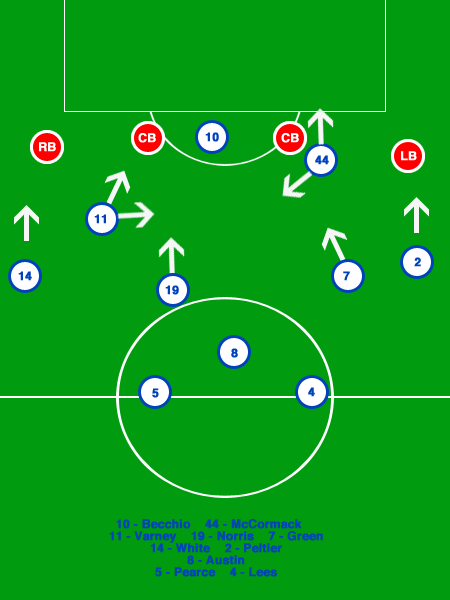 I am a huge fan of this – with both pushing down the wings, it becomes difficult for a defence to maintain shape and requires the involvement of their midfield to cover for the additional players. Many times, teams are not disciplined enough to ensure this occurs. This means crosses from the left and right can be aimed for Becchio, who is a great one-touch converter of the ball when on form, and with Warnock drilling the skills into him, he should have a good season in front of goal. Going back to the movement therefore, with McCormack dropping deep, he has a wealth of options ahead of him. Green can run inside, and the defence cannot cover for it – a center back will be occupied by Becchio, full backs need to cover for Varney and the right back respectively, one center back will probably deal with McCormack or offer additional cover for Varney, Norris needs to be controlled by the central midfield pair, given his runs, or he will pounce on any knockdowns. Our full backs will provide the width for crosses, whilst Varney will also attempt to get on to these and help out Becchio. Without sacrificing solidity, Leeds will genuinely have around seven attackers in an attacking phase of play, with the additional ability to counteract counter attacks. In defensive movements, our additional ‘central midfielder’ will stop the years of being overrun in the center of the park. I hope this is all understandable, but watching Leeds last week gave me hope. Whilst we seemed neutered in attack last season, there is likely enough in the way of movement to allow us to create goals. Warnock has, with his ability to maneuver in the market, probably created a team with the right amount of attack and defence. This bodes well. Follow Amitai Winehouse on Twitter (@awinehouse1) to read other pieces analysing tactics in a team without tactics. 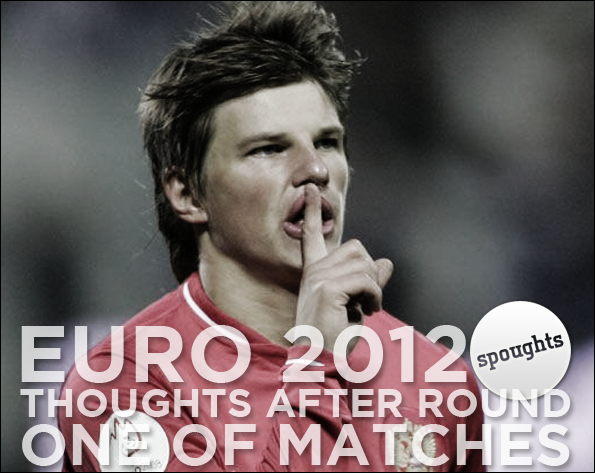 Euro 2008 was, in the eyes of many, the Andrei Arshavin tournament. Coming back into a Russian side after a few games, completely refreshed, Arshavin blitzed the competition, and became one of the hottest properties on the world footballing market. Linked to clubs around the world, Tottenham Hotspur and Barcelona to name a few, Arshavin would eventually become embroiled in an ongoing transfer saga with Arsenal that was only settled with the shattering of Arsenal’s record transfer fee. To the British Isles came this tiny Russian, with the world watching and expecting. They knew he possessed the skill at his feet. They had seen it displayed repeatedly in Austria and Switzerland. It took a mere two months for Arshavin to show his true ability. Liverpool at Anfield has remained a supposedly difficult fixture, but teams as varied as Wigan and Fulham picked up points there this season. Yet in the year that Arshavin defined the early part of his Arsenal career, Liverpool were an entirely different side. They were second in the league at the end of the season, having genuinely pushed Manchester United all of the way. At Anfield, they had picked up 43 points out of a possible 57, a staggering sum. And Arshavin ripped them to shreds. His team around him faltered, but Arshavin was the focal point in a display that has since slipped into legend. Four goals. An incredible number, even if we discount the fact that it occurred at one of the hardest stadiums to play at, against one of the top two teams in the nation that season. Bad players do not do that. It’d be entirely reasonable to suggest he’s gone off the boil a bit since then. In fact, the most accurate description of his performances at Arsenal this season would be suggesting they are akin to a particularly disgruntled badger who has awoken one day to find it’s feet have been tied together with a ziplock. Furthermore, said badger hasn’t been able to do any exercise, any attempts hindered by the aforementioned ziplock. It has also chosen to dedicate exercise time instead to the consumption of pasties. However, reports from the mystical land known as Eastern European football suggested that, in fact, Andrei was doing alright back at Zenit. A change of scenery, or perhaps a return to previous pastures was all he needed. On the other hand, more reasonably, I would like to hypothesize that what Andrei Arshavin actually needs is to be played in his correct position. Insanity, I am completely aware. People are often accused of being as stubborn as a mule. When it comes to pigeonholing players, Arsene Wenger is about as stubborn as a tree that has been placed atop that character in a film you know just isn’t going to survive. And there are zombies coming over the hill. You can hear the groans. Wenger decided Arshavin would be a left winger, and a left winger he shall be. We’ve already covered his thoughts regarding Walcott. Admittedly, Arshavin’s good performance this week against the Czech Republic came out on the left hand side, but there was a noticable difference about it. The play fed through him. He didn’t need to beat men, just receive the ball and feed it. Arshavin is, I believe, and I will readily accept heavy criticism on this, in reality a playmaker. For Arsenal, he should probably be operating more centrally. This is on the back of one real performance that impressed me at the Euros, but he is a man to watch for the rest of the tournament. 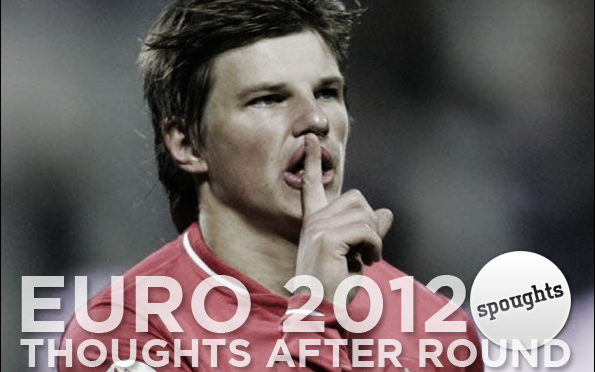 2012 could once again be the year of Andrei Arshavin. Take heed, Holland, a loss in the first game is not the end of it all. Spain at the World Cup, for example. Yet the act must be brought together soon, especially directly in front of goal. The sheer profligacy of the strike force was incredibly disappointing, Van Persie immensely impotent after such a prolific season domestically. Ties against Germany and Portugal seem vastly less simple than one against Denmark, yet I’d still back them to go through and go far. The football is certainly good enough. Just sort out the shooting. Italia. Mamma Mia. You know how to, how you say, stifle a false nine, no? Danielle De Rossi was employed with aplomb in a back three against the Spanish, playing very much in a role that I expect to become far more common in world football. Pep Guardiola used Javier Mascherano in this role this season, but rarely, as it relied on all of his preferred back three being fit. You may begin to notice a trend of the defensive midfielder dropping deeper, being used to launch attacks, but still being part of a true back three. Exciting tactical times. It would be remiss to not consider England. Are the team as bad as I thought beforehand? Admittedly, a draw against one of the favourites is nothing to scoff at, but there are some caveats. Key players like Yann M’Vila are out for France, and set-pieces were always going to be a threat with France’s weakened back two. England did not seem entirely outclassed, which was obviously a bonus, but I would not yet become excited over a draw earned through a well worked set piece.